Over the past few weeks–maybe month–my wife has gotten into a pretty solid routine for getting Lucy to go to sleep. For a while there, we were just staying up with her until 10 or so when she’d get tired, the missus would take her into the bedroom, breastfeed and she’d be out soon enough. After a while, she moved the time table up to 9PM, because it seemed like Lucy would take to it, but also because my wife wanted to theoretically have some time in the evening to relax a little. Or pump. Or do work. You get the idea. The general drill includes one of us turning on a not-very-bright nightlight so my wife and I can see what’s going on in the middle of the night if we wake up or Lucy does. The Itzbeen and a cup of water are placed on the bedside table, then my wife grabs her Breast Friend (which she only uses for nighttime feedings), a burp rag and of course the baby and starts the process. Basically, she feeds the baby in the dimly lit room until the kid falls asleep. 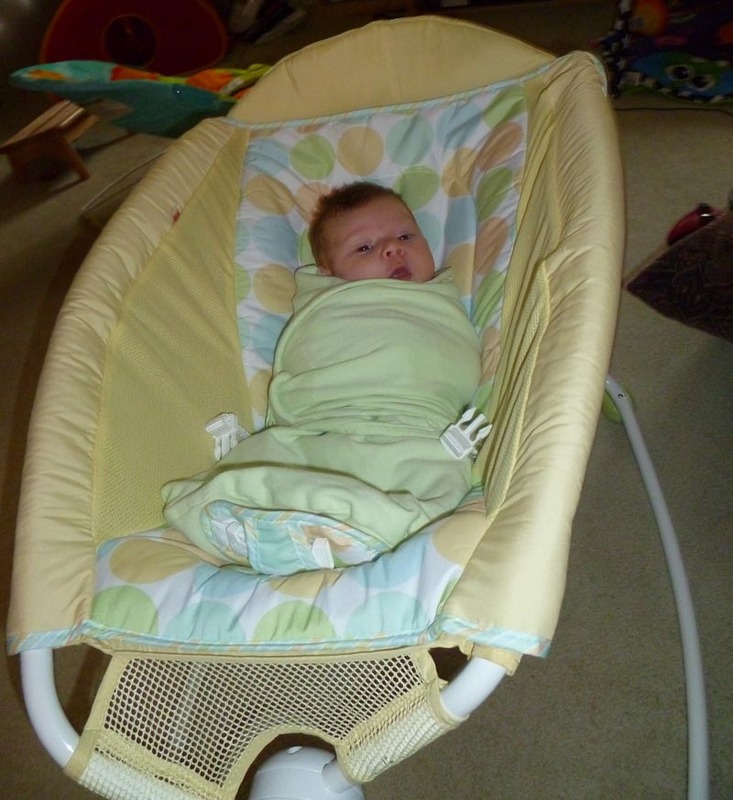 Once sleep is achieved, Lucy is placed in a Velcro-assisted swaddle and placed in the bassinet next to our bed. We learned pretty early on with our daughter that, at least for now, she needs to be wrapped up, otherwise she’ll accidentally smack herself in the face and wake up in a few minutes. As I wrote this, I can hear that it’s not going well. My wife has been back there for almost 90 minutes, which is 30-40 more than usual. I’m not sure what the deal is. Sometimes the cat wakes her up just as she’s about to fall asleep. Sometimes the baby just doesn’t want to go down. I can relate. Sleep doesn’t always come to me easily and almost never when I have to work within someone else’s schedule. I hope my genes aren’t wreaking too much havoc in that little peanut. Let’s just blame the cat. I know you’re all dying to know… she had gas pain. Mylicon and her binky did the trick. Dietsches – get a white noise machine! It is totally, absolutely necessary! And good luck!